The United States emerged this winter from the longest federal shutdown in history. At the center of the standoff, was immigration. From the administration’s promise of border wall funding to its controversial asylum and Dreamer policies, President Trump has actively laid out measures to close America to immigrants but has lost traction, for now. On the other side of the Atlantic, Europe experienced a massive surge of refugees and migrants in 2015-2016. While European governments struggled to effectively coordinate to cope with the unprecedented number of arrivals, Germany announced a radical immigration policy deemed “Willkommenskultur” that welcomed close to 1 million migrants and refugees fleeing conflict and seeking refuge in Europe. 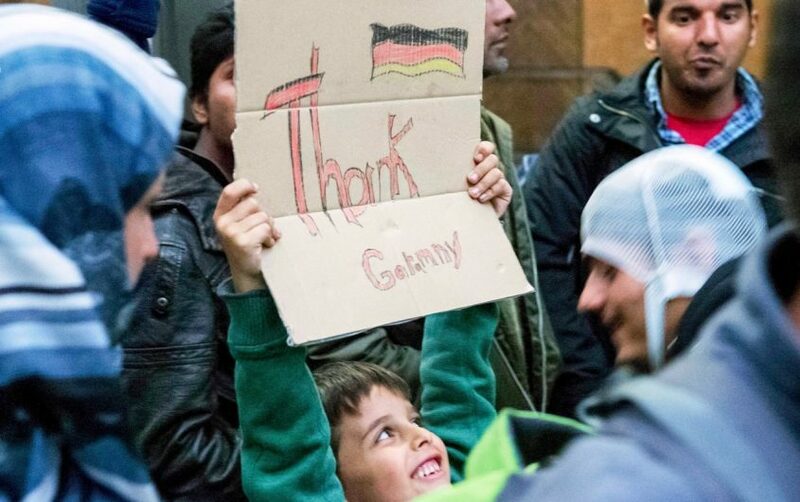 While European governments struggled to effectively coordinate to cope with the unprecedented number of arrivals, Germany announced a radical immigration policy deemed “Willkommenskultur” that welcomed close to 1 million migrants and refugees fleeing conflict and seeking refuge in Europe. Deemed a global issue, immigration has been at the center of contention between the U.S. and Germany for several years now. 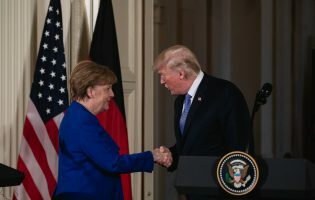 Fueled by President Trump’s criticism of Chancellor Merkel’s policy by claiming that there was a correlation between a rise in crime in Germany with mass migration, President Trump has used similar rhetoric to justify his policies at the U.S.-Mexico border. 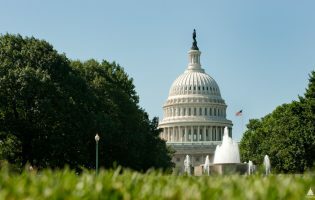 While an increase in violence has been quickly debunked, the messaging proved effective in fueling anti-immigration rhetoric on both sides of the Atlantic and weakening the bilateral relationship. As these global leaders fail to come to a consensus on how to deal with issues associated with immigration, it has paved the way for civil society organizations to step up and play a larger role in dealing with the growing crisis. 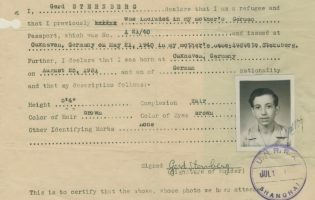 While initiated by the government, Germany’s immigration policy relied on “countless acts of solidarity from local communities, municipalities, businesses, faith groups, and other parts of civil society” to implement it. Grass roots organizations provided basic needs for refugees and asylum seekers, from shelter, clothing, and food to providing language programs and job training. s find effective means to carry out integration initiatives set out by the government. In the U.S., we’ve seen similar efforts to support the cause, including numerous examples of lawyers and nonprofits providing legal counsel to immigrants banned from arriving in U.S. airports and organizations filing suits against Trump policies claiming that they violate refugees’ rights. These actions have made progress in aiding in the migration crisis, even with little to no official government support. While Germany’s policy has certainly come with a myriad of critiques domestically and internationally, it did emphasize the need for a united European approach on receiving refugees and migrants. It also highlighted that state actors shouldn’t be left alone to bear the burden of hosting large numbers of refugees. At a time when there are more people fleeing crisis and violent conflict today than since the end of World War II, there is a need for stronger international cooperation. Leading nations like the U.S. and Germany should find comprehensive approaches in not only dealing with displaced people, but also in working together to address the underlying causes to mass migration and displacement. However, while both countries have diverging policies toward migration, civil society remains an active player in bringing together humanitarian and development actors aiming to mitigate the ongoing migration crisis. 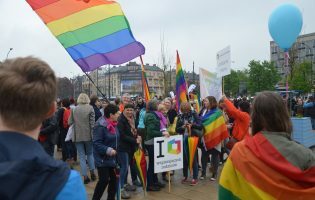 Germany has demonstrated that both government and civil society can work in tandem to try and address this global issue; can the U.S. put politics aside to find a comprehensive and humanitarian immigration policy that follows suit? 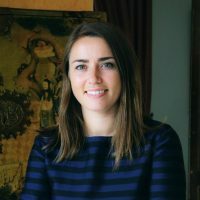 Danielle Piatkiewicz is a program coordinator for The German Marshall Fund of the United States’ (GMF) Asia and the Future of Geopolitics program. In these roles, she is responsible for managing and coordinating the Asia program’s portfolio on U.S. and EU relations with China, Japan, and India on economic, trade, security, and defense issues. In addition, she manages the Future of Geopolitics program which examines the emerging challenges to the liberal international order through convening and research to explain current political and societal trends in the United States to a Europe. She works on various leadership development projects at GMF including organizing the Young Professionals Summit at GMF’s flagship event, the Brussels Forum, and the Emerging Leaders program at Atlantic Dialogues. Previously, she worked as a program assistant in GMF’s Wider Atlantic program in Brussels and program intern in Warsaw. Before joining GMF, she worked for the European Institute of Peace in Brussels (EIP) where she assisted with the logistical and operational set up of EIP as well as provided research and analysis on future peace mediation actors and regions. She holds an MA in international and political studies with a concentration in transatlantic studies from Jagiellonian University in Krakow, Poland. She received her BA in political science with an emphasis in international relations and a minor in German studies from the University of California, Santa Barbara (UCSB).